"EXPERIENCE THE WORLD'S FASTEST FOOD DELIVERY APP! Tap, choose, and enjoy your yummy meal from many restaurants in your neighbourhood with hellofood, your one-stop food delivery service for all. 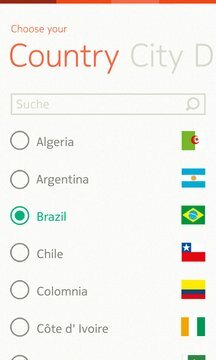 One app, one account, 20+ countries! And all this for FREE! Whether you like Pizza, Burgers, Sushi, Italian, Chinese, Indian or any other of your favorite cuisines. Ordering through the free hellofood app guarantees that your meal will be delivered fast, hot and tasty. Available in Saudi Arabia, Jordan, Lebanon, Brazil & Nigeria and many more (full list below). • SAVE MONEY by using our exclusive deals and vouchers. • CUSTOMIZE YOUR MEAL with sauces and toppings, just like you would do in the restaurant. • SECURE MOBILE PAYMENT GUARANTEED simple and safe with cashless payment. 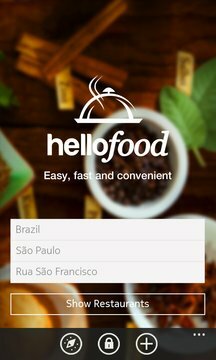 • EASY CHECKOUT hellofood stores your several addresses (home, work, etc.) for a FASTER process. • REMEMBER your orders, hellofood saves your past orders to easily reorder it . • MANY CHOICES order food delivery from over 100 different restaurants in your area. 2. Choose a restaurant and your favorite meal. 3. Get your freshly made food delivered to your doorstep. Receive your order and ENJOY YOUR MEAL. Reviews & Feedback: If you need help or if you have any suggestion, email us at contact@hellofood.com. We'd love to hear from you. Follow us on Facebook (fb.com/foodpandahellofood) and on Twitter (@foodpandaglobal)."